Uber's hot on your trail. A privacy group has filed a complaint against Uber for its updated policy of tracking passengers and accessing their personal information. The Electronic Privacy Information Center in Washington, D.C., is asking the Federal Trade Commission to investigate the growing ride service, which is considering tracking passengers through their mobile devices -- even when they're not actively using the Uber app. "Uber will claim the right to collect personal information and detailed location data of American consumers, even when they are not using the service," EPIC said in its complaint filed Monday. Uber explained last month in a statement how it collects information on drivers and passengers when they use the service. Uber gathers information through the user's mobile device to track location, contacts, transactions and other details. The company said it "may also collect the precise location of your device when the app is running in the foreground or background." 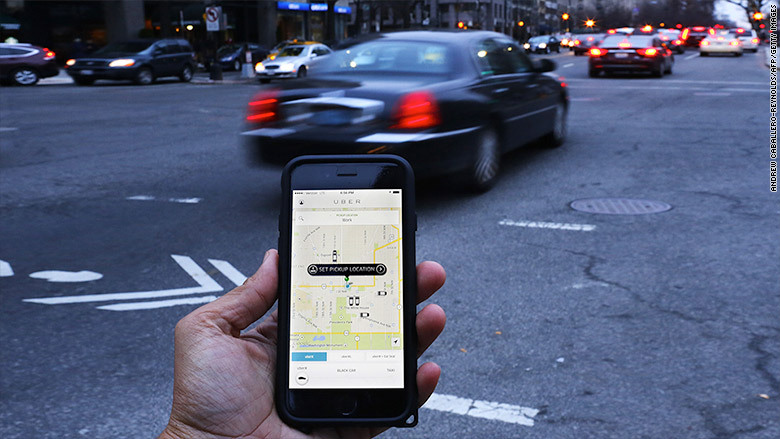 In order for Uber to record customer info, app users have to authorize that on their devices. That's the detail that EPIC is concerned about -- the fact that Uber might track the location of a user and collect information even when he or she is not actively using the app. But Uber slammed EPIC as having "no basis for this complaint." EPIC said past claims of Uber employees using its technology to track locations and other information on journalists critical of the company is cause for concern that the technology could be misused. The complaint also expressed concerns that user data could be accessed by hackers.